If there’s any diet craze that deserves its time in the limelight, I’m sure it’s the one that involves drinking glasses of weight loss spinach smoothie as a replacement for actual sit-down meals. For a while now, spinach has successfully claimed its spot in the superfoods list after being hyped by dieters and bodybuilders alike. But the trend that these individuals have started has a good basis. 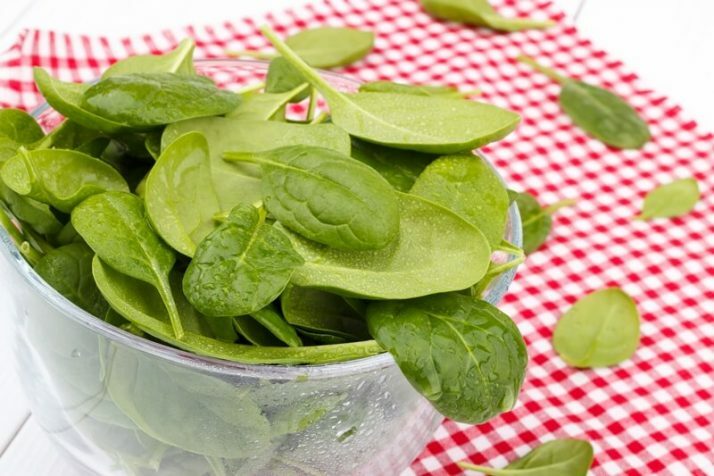 Spinach does wonders for the body, especially in terms of weight loss. 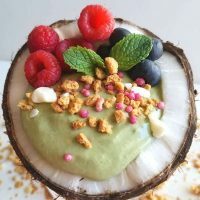 I have met some friends who were at first reluctant to try green smoothies, which I consider the best thing that has ever happened to me on my journey towards a healthy body and wellbeing. 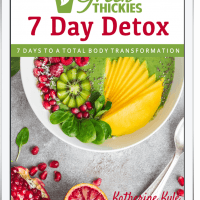 I understand that they may have issues with smoothies replacing an entire meal, so I walked them through the basics of the green smoothie diet—what it’s all about and how effective it is for losing excess weight. 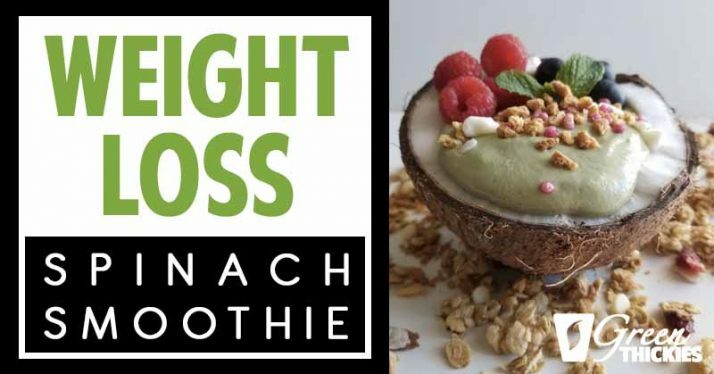 Convinced by the impressive results of my own dieting, they asked me how, despite the notion that blending greens will only make consumption more difficult, the flavor of these smoothies can be enhanced to make them more enjoyable. That’s why I came up with my own spinach smoothie recipes, which aside from being rich in nutrients, are also not lacking in the taste department. I have experimented with various whole foods to add layers of flavor and texture to my usual spinach smoothie, and the resulting product was such a hit that I had to share it with you now. Today, I’m going to show you how you can make your own glass of refreshing weight loss spinach smoothie, using a few ingredients from the fresh produce aisle. Now doesn’t it sound a delicious way to keep unwanted weight off? According to medical journals, what makes a smoothie so healthy is that it strikes the right balance between fruits and vegetables. It then becomes more powerful with the inclusion of spinach, berries and other nutrient-rich ingredients that you would typically eat alone. Combined together, they form an effective antidote for busting out flab and excess weight. With leafy greens as your main ingredient, the resulting smoothie will be much more potent in delivering much needed nutrients to your body. 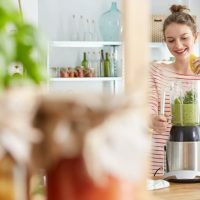 A study conducted in a randomized controlled trial has discovered that drinking green smoothies may even contribute to improved blood pressure and general wellness. Green smoothies help you curb not only your appetite, but also your cravings. They are filling and loaded with health components that aid in speeding up your weight loss. Obviously, if you replace your plated meals with a drinkable meal, you get to avoid consuming more than your fair ration and recommended intake. This restriction will in turn train your body to consume less calories, contributing to the overall weight loss success. As I enjoy concocting glasses after glasses of weight loss spinach smoothie, I have learned the secret to unlocking the potential of this recipe. Instinctively, you measure your ingredients and get the right ratio of spinach to fruits. This is not only to water-down the overpowering bitterness of the leafy greens, but also to make sure you have calculated the number of calories you’re going to get out of the drink. Then the easy part comes at this point: blending the ingredients together. As long as you can control the consistency of your smoothie, you should be fine. Otherwise, you will have to adjust the amount of your ingredients to achieve your desired texture. Finally, you can get fancy! You can pour your smoothie into a bowl and sit down to eat your smoothie as a meal instead of always drinking it on the go. 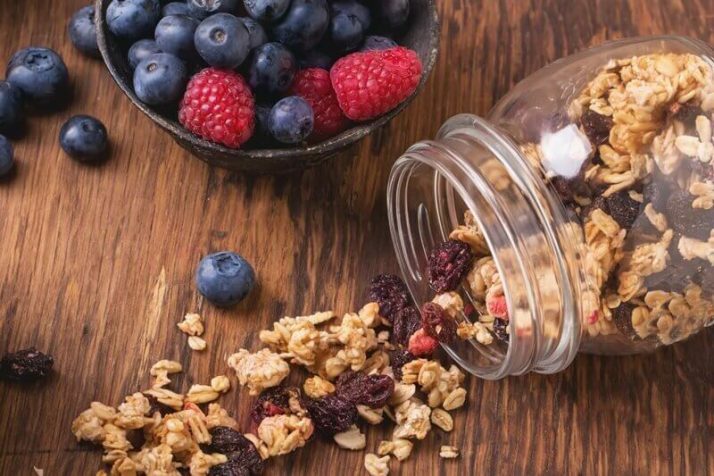 You may add toppings like berries, nuts and seeds to make it visibly and gastronomically appetizing. To better understand how this weight loss spinach smoothie can help you shed weight quickly, you should basically know the ingredients that make up this drink. As you can see, I’ve only used whole, fresh ingredients so you can do away with processed foods or those with artificial additives. This already qualifies green smoothies as an effective weight loss activator. The calories in this weight loss smoothie will also help you lose weight, because it has low calories for a complete meal. You might think the calories, 355, are high for a smoothie. But bear in mind that this is a full meal. 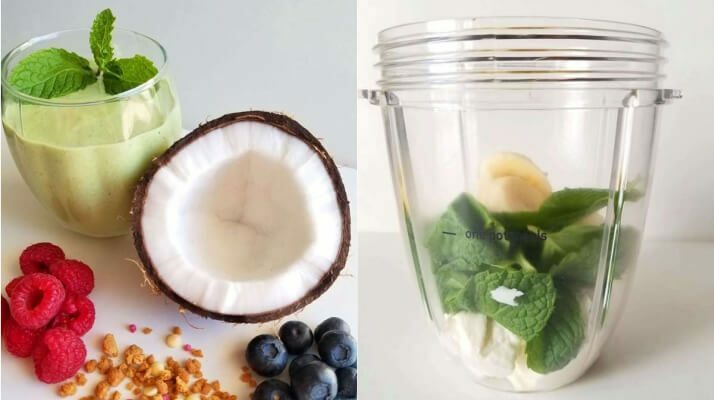 So if you replaced two of your meals with this smoothie each day and ate one low calorie healthy dinner, this would be the perfect number of calories to help you lose weight each day. Obviously, each of us needs different calories to lose weight, and if you want to know how many calories you need, you can check out my weight loss calculator here. But I’d say that 355 is probably the lowest number of calories that anyone should be consuming per meal to still keep the nutrients needed to help your body stay healthy. But to see how each individual ingredient contributes to your weight loss efforts, let’s check out the nutrition content of the items that I have used for this recipe. 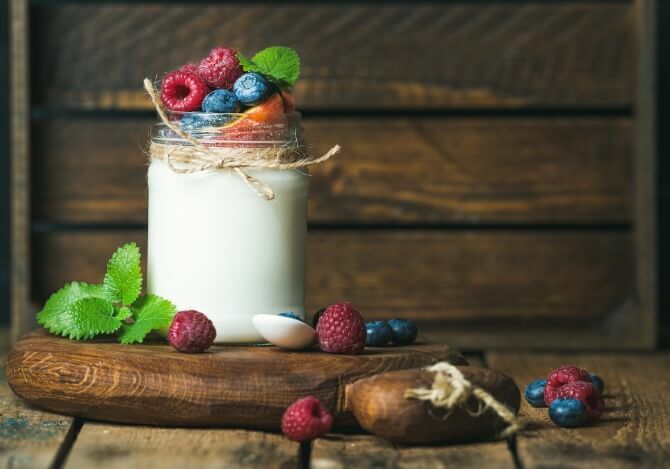 Before you panic at the mention of “yogurt”, let me tell you that in this recipe, I’m referring to the vegan, non-dairy yogurt variant that is now available in most groceries and food stores. There are a lot of studies backing up the claim that yogurt aids in weight loss, and this is mainly due to its high calcium content. According to researchers at University of Knoxville, high calcium content can be linked to an increase in the breakdown of body fats and the preservation of metabolic rate while dieting. Such effects can lead to effective burning of fat, which in the long term will result to a drop in body weight. For my weight loss spinach smoothie recipe, I recommend using soy or coconut-based yogurt, preferably the kind that doesn’t have refined sugar. You can use other varieties such as nut-based or seed-based, as long as it’s dairy-free. When I use yogurt, I always use soy yogurt because it has around 10 grams of protein in per cup. So this helps to keep the protein count of this smoothie high. Protein helps to keep you full when you’re losing weight, and it also helps to preserve your muscle mass which keeps your metabolism high. This enables you to burn more fat. Time and again, I have made it a clear that spinach is good for weight loss. First, it contains loads of fiber which helps in improving satiety levels. Similarly, spinach contains thylakoids, which are geared towards suppressing appetite. Another thing is that with spinach being low in calories, it helps you absorb antioxidants which triggers the flushing out of toxins responsible for the excess weight. 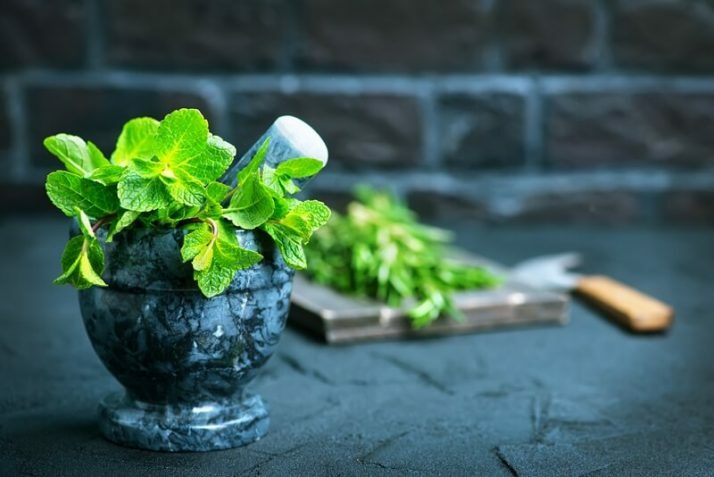 While mint is essentially used to add zing and flavor to your green smoothies, it also contains large amounts of antioxidants which help in regulating your bowel movement and cleansing your body of toxins. Unlike sugar and other processed flavorings, mint leaves are low in calories. Another natural flavoring that you can add to your weight loss spinach smoothie is this date syrup, which is known to possess qualities that help in better digestion. It is a good alternative to calorie-rich refined sugar, which only makes you gain weight when consumed in high amounts. The great thing about date syrup is it is only made from dates and nothing else. Nothing has been taken out of the dates so they still contain all of the fiber and the nutrients that they started with. 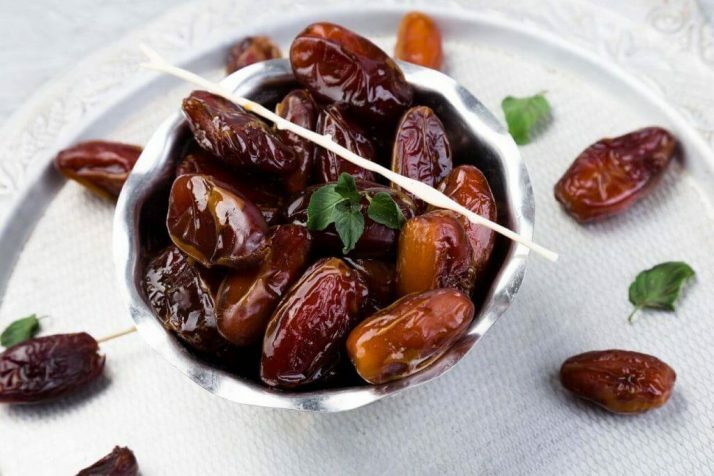 Watch the video below to learn how to make your own homemade healthy date syrup. 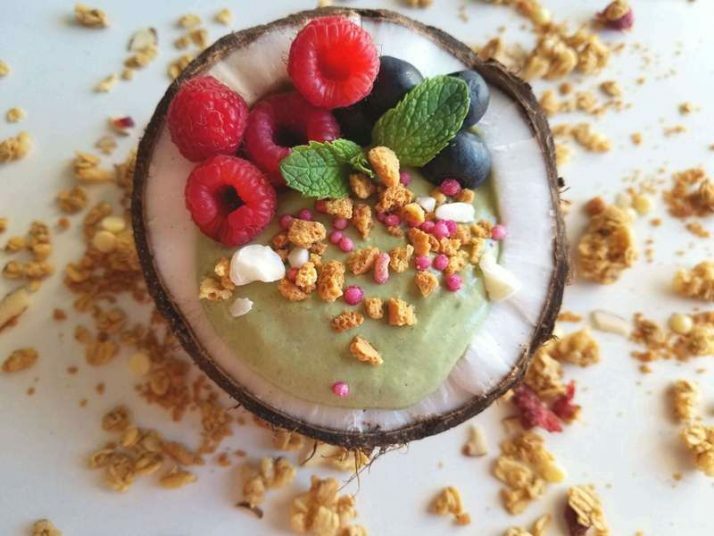 One good way to add texture and color to your green smoothies is by using berries as toppings. 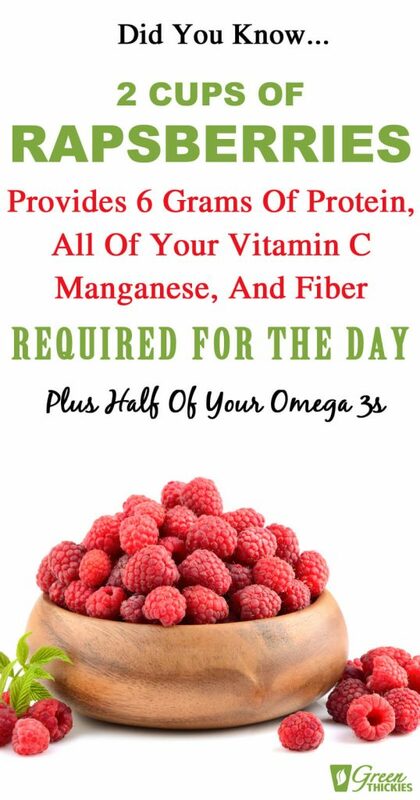 Raspberries, in particular, contain ketones. They reportedly help in speeding up metabolism so you can experience significant weight loss. 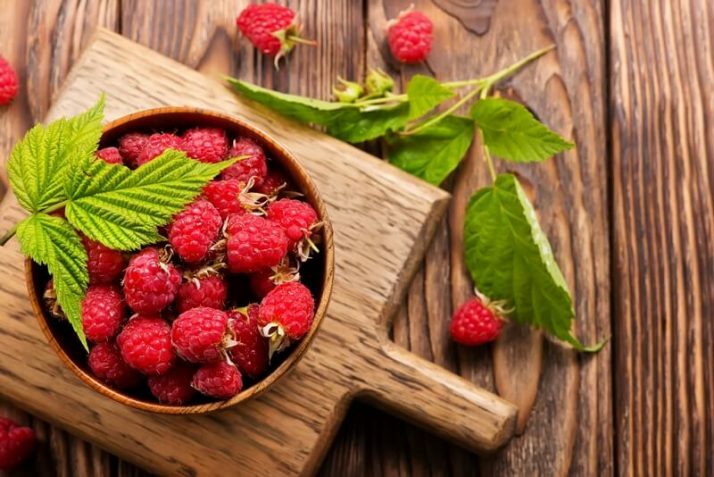 While studies are still inconclusive, the fact that raspberry ranks low in glycemic index and has high fiber content makes it ideal as a topping to add a burst of flavor and nutrient to your otherwise plain-looking smoothie. Another option for toppings is using blueberries. 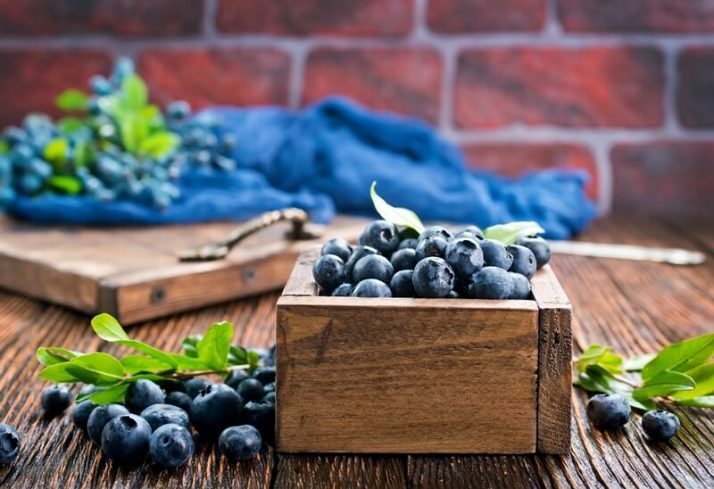 In 2017, a group of scientists has concluded that blueberries can help you lose weight. This is all thanks to flavonoids, which blueberries have a high content of. Flavonoids help in reducing fats and revving up your metabolism, which leads to a leaner body in the long run. 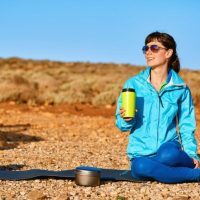 While it is basically known as a breakfast and camping staple, granola is a topper that you can add sparingly to your weight loss spinach smoothie for an added crunch. 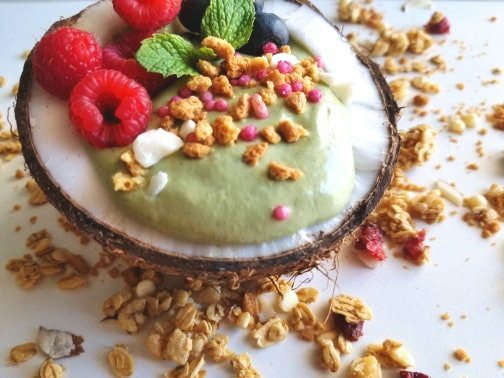 My own homemade granola recipe, the Chunky Monkey Smoothie Topper, is a healthier take on the usual snack by not using refined sugar or other processed chemicals that might cause cravings or addiction. It contains natural, whole foods that aid in filling your nutrient gap and even assist in your weight loss efforts. Blend the yogurt, mint, spinach and syrup in a blender until smooth for 1 minute. Pour into a bowl, or if you want to get fancy, use half a fresh coconut as a bowl. Top with raspberries, blueberries, homemade granola and any other healthy sprinkles such as sugar free, dairy free chocolate chips. Click here to see all of the smoothie ingredients and other tools I use to make perfect smoothies. A glass of weight loss spinach smoothie is all you need to bust out those fats and excess weight easily. 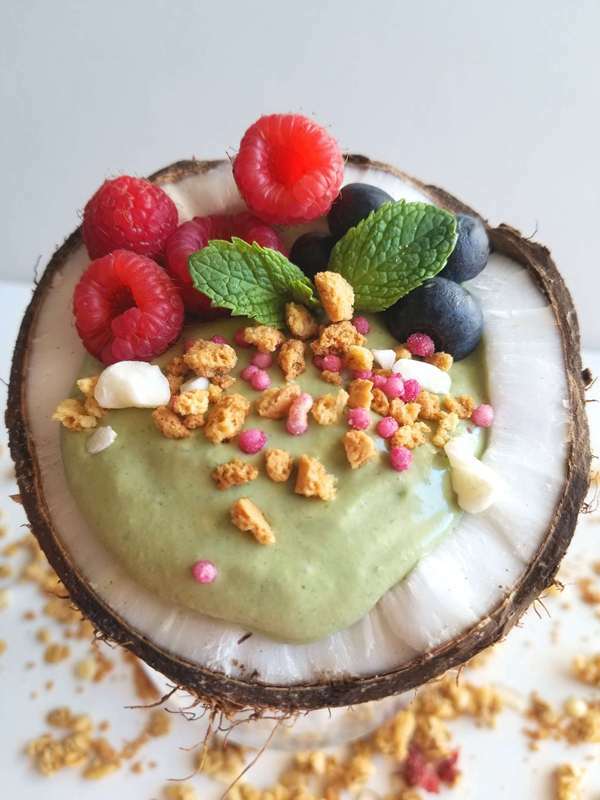 When prepared the right way and taken regularly, this green smoothie will make you experience a rapid yet healthy drop in weight, which will allow you to function well and improve your quality of life. I hope you enjoyed learning about how to make your own smoothie based on the powerhouse ingredients that I have carefully put together for an enjoyable and highly effective dieting experience. Make it a habit, or better yet, make it your substitute for a complete meal so you can also maximize the absorption of nutrients necessary to keep you fit and strong. Replacing your meals with spinach smoothies, doesn’t have to be the latest weight loss fad. I’ve been replacing my meals with spinach smoothies for over 10 years. This habit has allowed me to drop 5 dress sizes and keep it off. 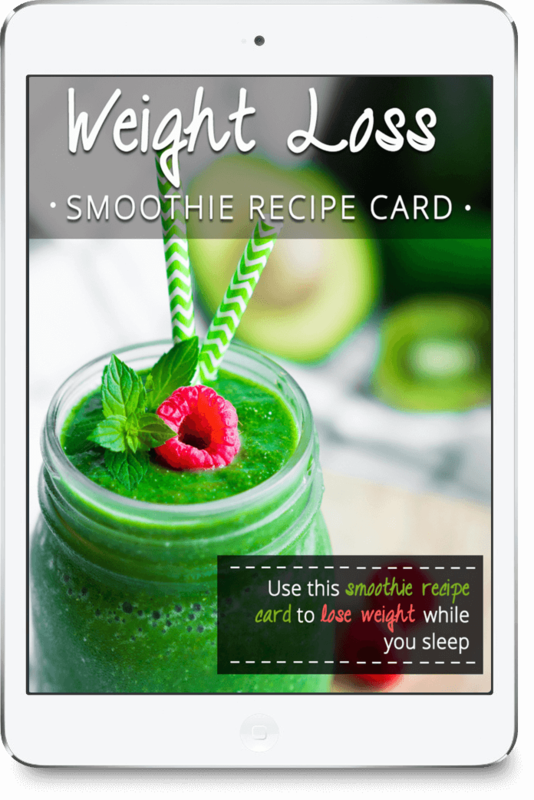 If you enjoyed this Weight Loss Spinach Smoothie, you’ll probably also love my collection of over 50 spinach smoothie snacks and spinach smoothie meal replacements.